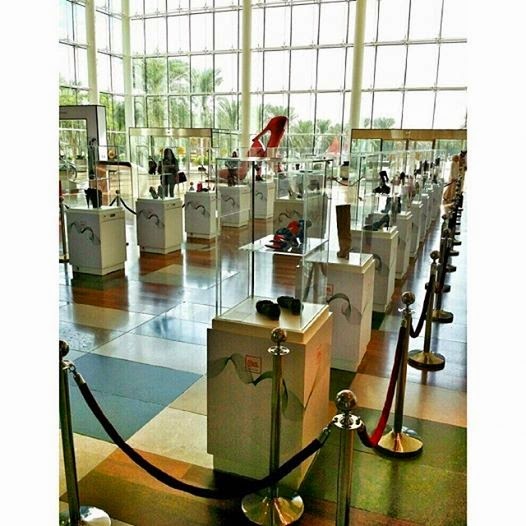 Get a chance to witness the Shoe Show at the 360 Mall from a different perspective ! The exhibition has moved to Gate 1 - Ground Level, main entrance. Don't miss the unique and exquisite shoe show and exhibition as the last day is Thursday November 13. If you have gently used shoes or footwear you don't wear any more, this is an opportunity to drop your gently used shoes at the special counter set up at the shoe show and your shoes will get delivered to those in need. The counter to drop off shoes was originally near the big stair case at the Atrium. When you go there, you can enquire where you can donate your used shoes. Benefit from special offers in participating stores and have the privilege of donating a gently used pair of shoes for a chance to win fantastic prizes.